DKNY Kids' collection introduces irresistible jeans, sweatshirts, and sweaters for the everyday life of your little ones. Boys' jackets and girls' skirts for their daily looks will always make their outfit trendy and comfortable to play and move freely. 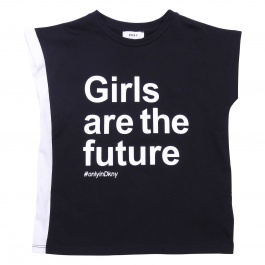 Browse Giglio.com online shop and choose among many irresistible DKNY kids' clothes for girls and boys to shop with free shipping.